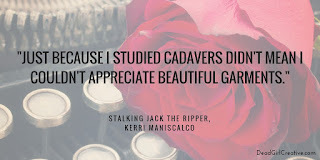 This book has been on my TBR for a while now, however a twitter chat hosted by the lovely Brittany's Book Rambles (@bbookrambles & BookRambles.com) in which the author, Kerri Maniscalco (https://kerrimaniscalco.com/), participated to help promote her second book in the series (Hunting Prince Dracula), pushed this book to the top of my TBR. 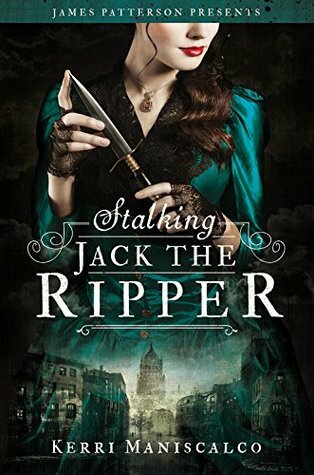 I've always had an affinity for the macabre, and serial killers such as our dear Ripper are one of my favourite things to read about. 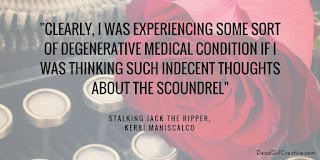 Maniscalo's take on the events in a book with a young female protagonist fighting the sexism of the 19th century earning her place in the world of science and pathology is a wonderful breath of fresh air. Ironic considering the lead character smells mostly the putrid odor of death throughout this tale. 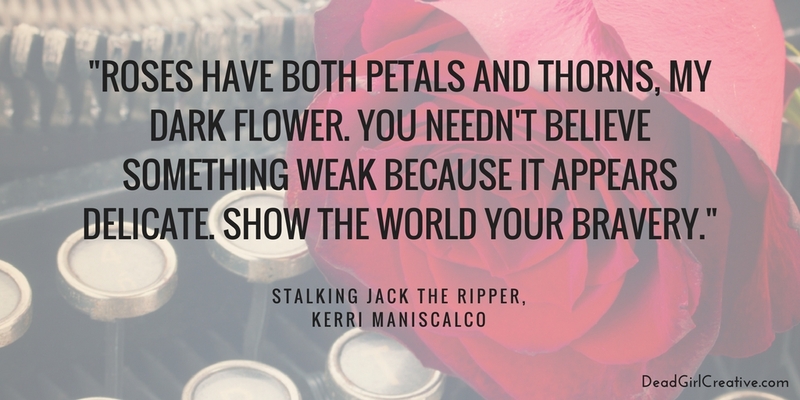 The romantic interest in the book appealed to me, because it's a flirtation I can quite relate too. Thomas is very much a man I would find myself attracted to, however much I would discourage myself for doing so. Insisting that the only possible reason for such feelings would be a malady of the body or mind. Aubrey Rose is just not made of the stuff that her family wishes, as such proper ladies are. 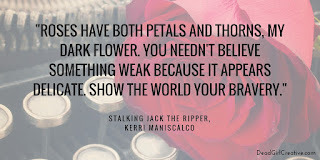 In once case she even fails at imagining herself "chattering on about napkin design, but my thoughts kept turning to deceased bodies..."
Maniscalo does an excellent job of creating a relatable protagonist. Her passion and drive for science, the art of pathology, and not letting anything get in her way is admirable. 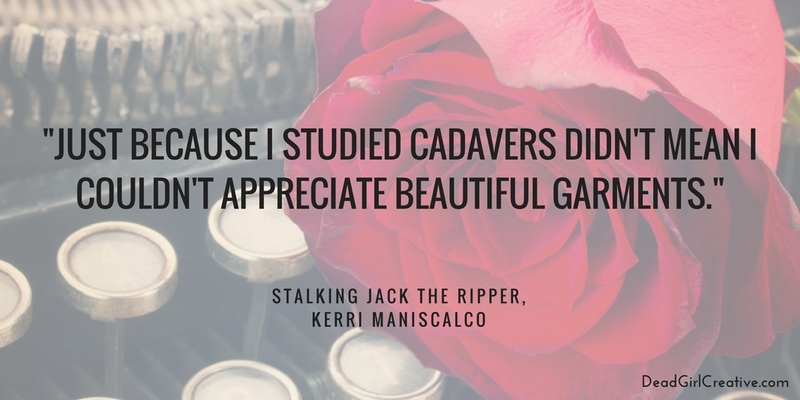 While there are many twists and turns along the way to solving our case, the ending is not too much of a surprise. I do also feel that the climax was a touch rushed and could have been fleshed out more. There was a few unanswered questions for me. All in all, it was a wonderful overnight read and I am glad I pushed it to the top of my TBR list. I greatly look forward to the next installment in this series from Maniscalo.